Ayala Shapira's condition stabilizes after a successful surgery, first in what appears to be a long struggle to recover from heavy burns. The condition of 11-year-old Ayala Shapira, who was seriously wounded in a firebomb attack last Thursday night in Ma'ale Shomron located in Samaria, has stabilized after undergoing a successful initial surgery on Friday. Dr. Itay Pesah, a senior doctor at the children's ward of the Sheba Medical Center in Tel Hashomer where Shapira is receiving treatment, said "the girl underwent the first in a series of expected surgeries, to treat her burns and to ensure her airways remain functioning." "The surgery was successful, and at the moment her condition is stable," continued Dr. Pesah. 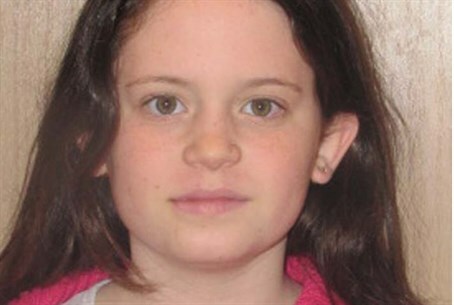 The public is asked to continue praying for the full recovery of Ayelet bat Rut. On Friday, Defense Minister Moshe Ya'alon (Likud) told Shapira's mother that the terrorist responsible for the heinous attack apparently had been apprehended as the result of a crackdown to hunt down the terrorists, in which 12 Arab residents of the village of Kfar Azoun were arrested. Shapira's father Avner was also wounded in the attack, suffering light wounds. He told IDF Radio last Friday "all of this treating the incident as if it were a criminal event - the idea of treating some young criminals who throw bombs at cars as criminals is a fundamentally flawed concept." Avner Shaipra criticized the security system for trying to solve military problems by legal means, clerical and administrative procedures - not through military operations. "There is a clear war [here] and we must send the army after wanted men in military operations," he added. Otzma Yehudit chairperson Dr. Michael Ben-Ari on Thursday night drove to the site of the attack from his home in neighboring Karnei Shomron, and revealed that his daughter studies at the same school as Ayala. The comment refers to the coalition government's decision to release 78 Arab terrorists, many of them serving sentences for murder, as a "gesture" in the peace talks with the Palestinian Authority (PA) that were torpedoed by the PA in April. "The time has come to remove their desire (to commit terrorism), or better yet to remove the enemy to their countries of origin, or to build them a 'Palestinian state' in France," said Ben-Ari.